Discussion in 'Sponsor Announcements and Deals' started by RHA Team, Aug 23, 2018. 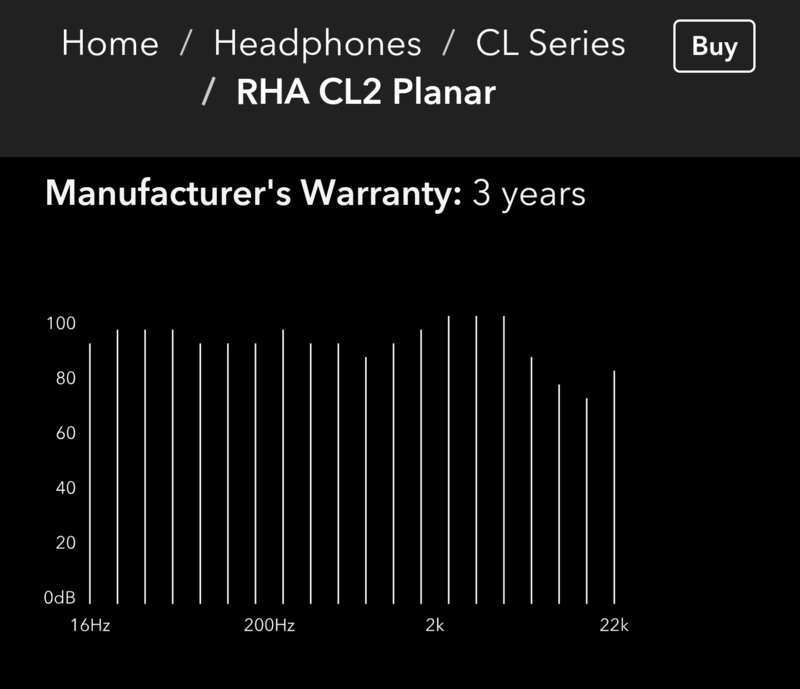 We're very excited to announce the next installment in the CL Series; the CL2 Planar. It's a closed-back in-ear headphone that features a planar magnetic driver at its core. The housings are moulded from zirconium dioxide, a ceramic compound; they're detachable and use MMCX connections. We've made it - and shipped it - with a range of cables, including a Bluetooth wireless neckband, and balanced 2.5mm cable. More info here; ask away below! We'll be arranging a listening tour shortly. kevinscottcaja, waveSounds, voxie and 13 others like this. Those look really interesting! And very nice to see innovation at a price point that does not require selling kidneys. Looking forward to learning more about these and hopefully finding a way to demo them. linux4ever, davidmolliere, Kerouac and 2 others like this. Loving the look, and the fact it comes with all three cable options. Very curious about that as well. "This is particularly important for more complex, detailed music that moves across the dynamic range; using treble and harmonics alongside deep bass." One of the main inspirations for the CL2 was the 'planar sound' that our product dev team are fans of; the synthesis of this headphone was asking how we could get that into an IEM. There's a plenty of balance; with planar you expect harmonic definition; but pick the right track and there's bass you can feel in your throat (in a good way) - we'll post some of our testing playlist in a few days. Obviously you'll need to listen to judge! Details on that coming soon; and the CL2 will very much be at RMAF. snellemin, Kerouac and Wyville like this. Wow, what a nice surprise to see these (imo) beauties appear out of the blue. Thanks to Mr. (I noticed they call you Mr. these days ) @Wyville for sharing the link in another thread. These might be very interesting for me as well as an upgrade / replacement for my current IT03's in the future. I'm also intrigued by the fact that it comes with different (signature) cables. I've had the planar LCD-2 in the past and really liked its signature (especially rumbling lows), so would love to hear these sometimes. If there's gonna be a (European) tour I would certainly like to sign up. davidmolliere and Wyville like this. Magnificent looking IEM, really nice! Finally, a set of IEMs that might supersede my beloved Xelentos (and with a wireless option, no less!!). I am excite. These look very interesting. Lets hope some new blood gets the opportunity to take part in the tour. No offence but it appears to be the same select few who tend to get this kind of gig.